Roof rack and side access ladder. Rear access ladder but no roof storage. I welded a custom roof rack to mount solar panels on my cars roof. Roof rack for solar, awnings and storage. 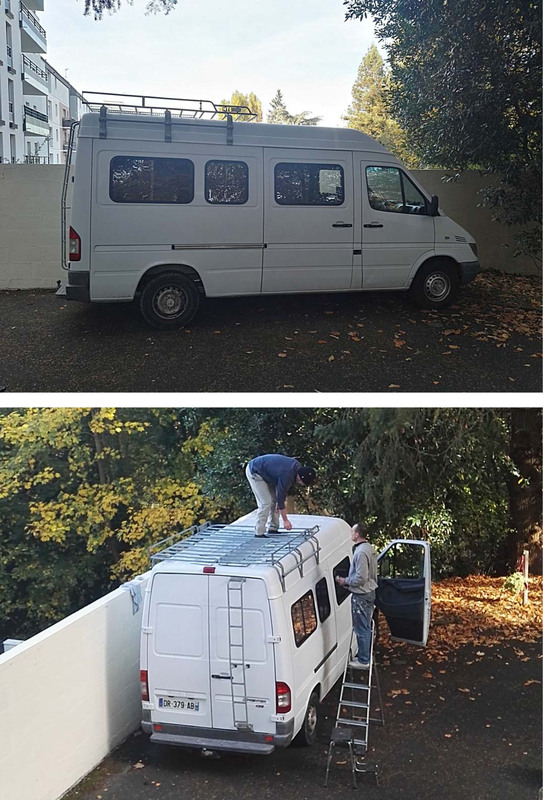 Custom roof rack with access ladder. Allows for sunroofs, KingTech AC, lightbar, 80W solar panels, fan, etc. The rear ladder makes it easy to climb up top where a rhino roof rack holds a toolbox, 100watt solar panel, and surfboard. Roof rack with solar and wifi booster. We have a rear roof rack but it just looks cool. We never use it. No roof storage, only the pop up camper top. Had concerns about carrying weight high on the vehicle. Roof pod. SO WORTH IT. Great place to stash valuables out of sight, and keeps down the amount if clutter in your car, especially if you have a lot of gear like me (I have hiking, camping, climbing, and biking gear). Rooftop astroturf plus bug-screen tent. Custom over cab rack.